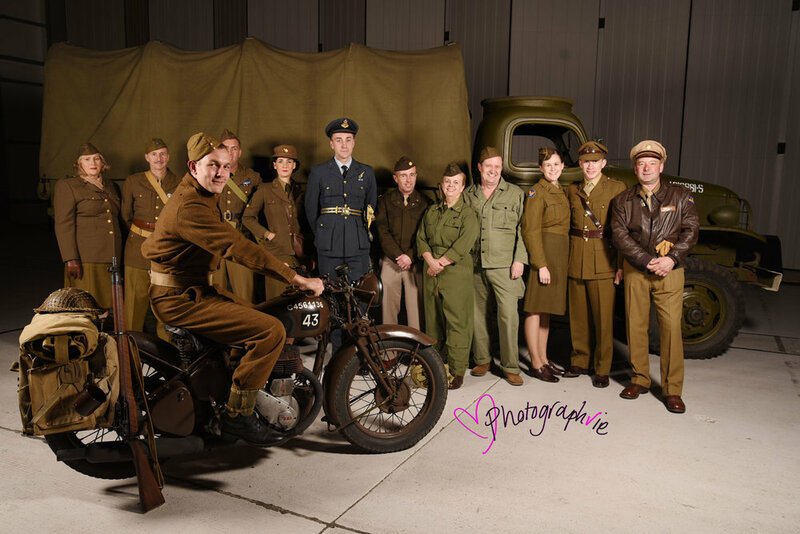 What a bloody fantastic event, Saturday 29th September at Duxford’s impressive Imperial War Museum. 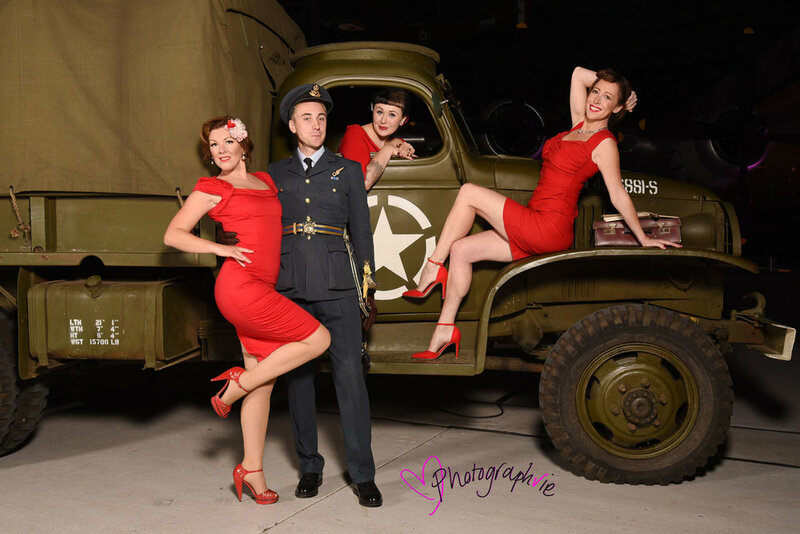 Based in 2 aircraft hangars, our backdrop for the Photographvie photobooth was a 1940’s jeep and motorcycle with retro pin-up girls and a whole gang of 1940’s style actors. Featuring the UK film premier ‘Magpie’ (a WW2 drama about the US invasion), the evening was host to some amazing costumes, impressive dance moves, an authentic jazz band called Harmony in Harlem booked by the brilliant Cambridge International Jazz Festival, entertainment from Neon Moon and of course photography by Photographvie. After the opening dance, the curtains were drawn back to reveal a delight - a hangar full of various aircraft lit in red, blue and white! A busy night, a lot of fun and I’m sure the photos tell the story - we had a great night and look forward to the next House of Cambridge event! Thanks to all pin-up ladies and volunteers for having so much fun whilst we took photos! Random Act of Kindness Day 17th February 2019 - What will you do? Autumn Leaves Mini Family Photoshoots are selling fast!